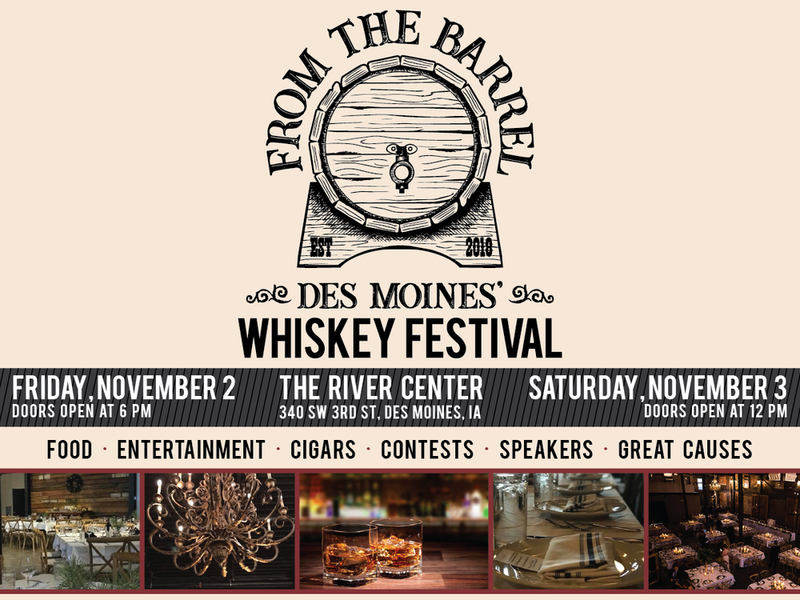 From The Barrel - Des Moines' Whiskey Festival kicks off this year and will be taking place in downtown Des Moines, IA at The River Center! Date: November 2nd & 3rd, 2018. TWO DAYS OF WHISKEY! From The Barrel is Des Moines' first Whiskey Festival featuring two days of food, entertainment, cigars, contests, speakers, great causes and of course WHISKEY!